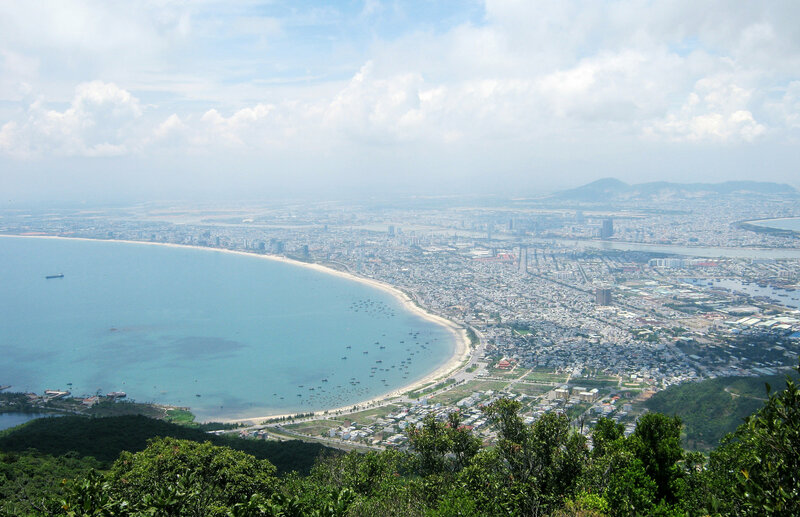 Danang has been developing incredibly fast in the past few years, becoming a thrilling mix of modernity and traditions. This tour reveals the fascinating history and spectacular beauty of this town. 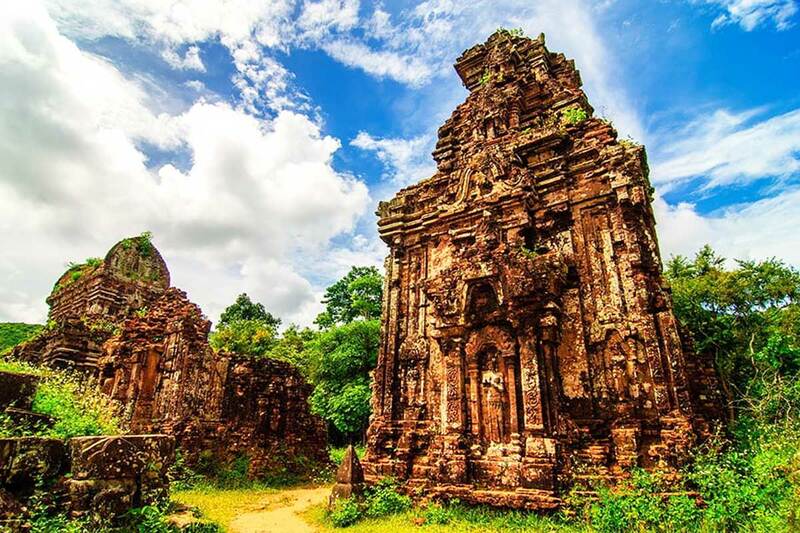 From the Marble Mountain offering breathtaking views, discover Hoi an heritage site. Pick up time: 3.30 PM. End time: 8.30 PM. 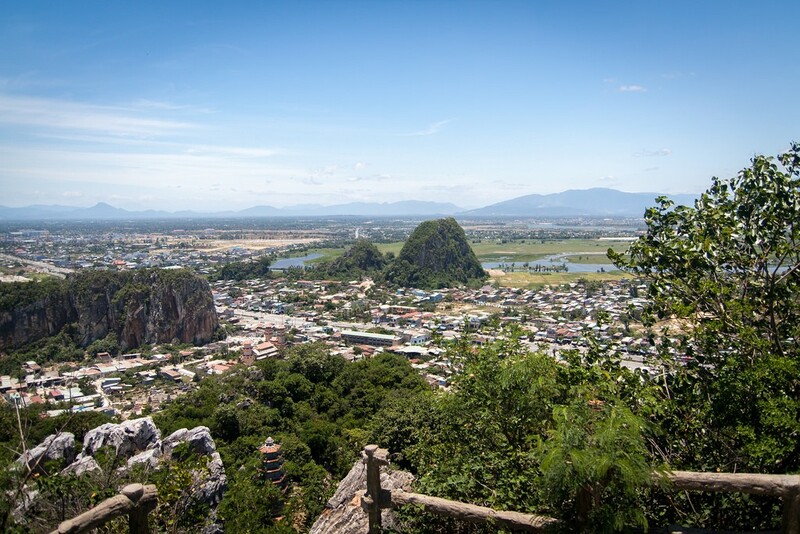 16h00: Visit Marble Mountain and the Stone Carving Village. 17h30: Head to Hoian: visit the Fukian Assembly Hall, the Japanese Covered Bridge…. 19h00: Enjoy dinner at the local restaurant. 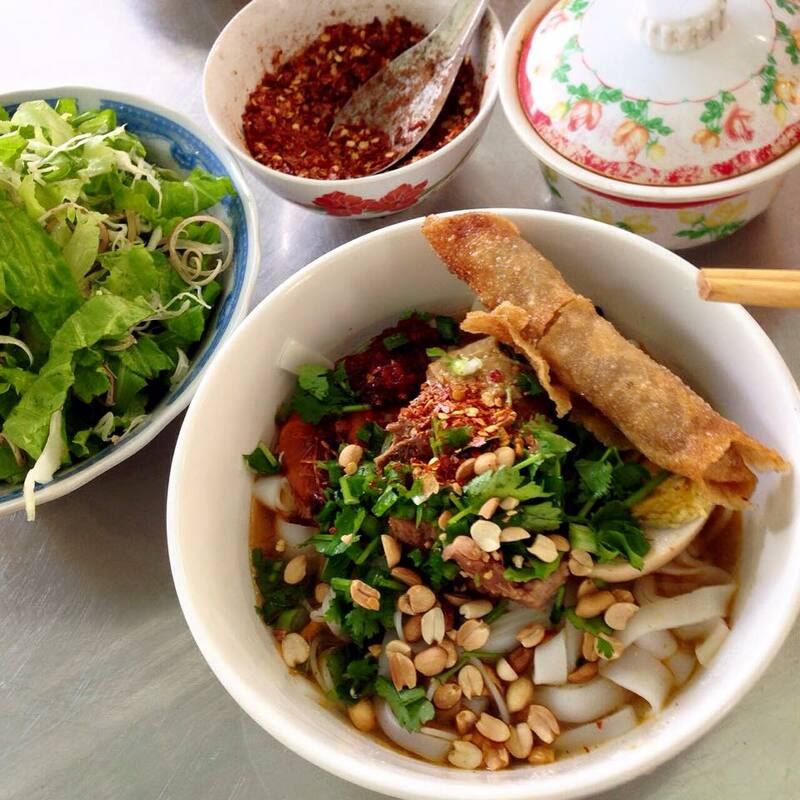 – Dinner: Enjoy Hoi An local specialty: Cao Lau noodle, fried wonton, white rose, seafood soup, baby-clam. 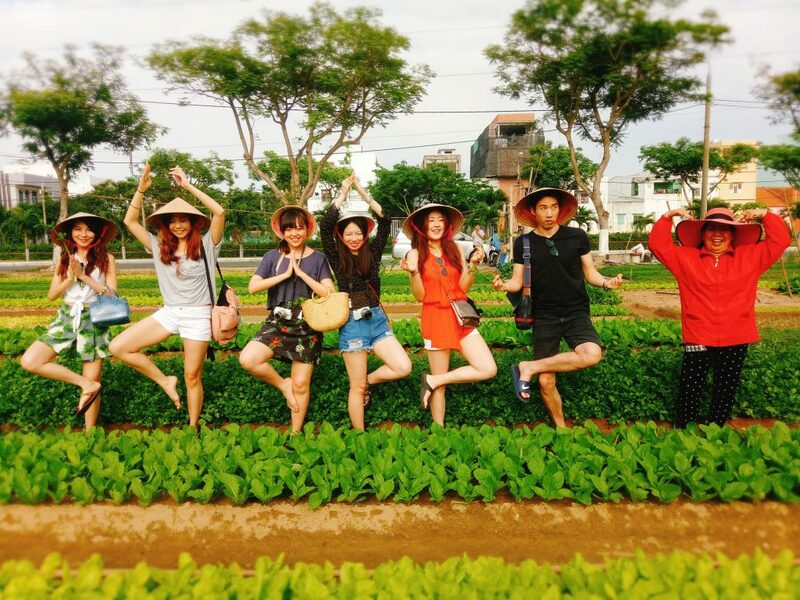 If you are bearing in your mind a travel plan to Da Nang on a reasonable budget while still want to enjoy all the best moments with your friends out of “good food, good sleep, and wonderful photos”, Da Nang-Hoi An 4 days 3 nights itinerary is specially made for you with only USD135/person! 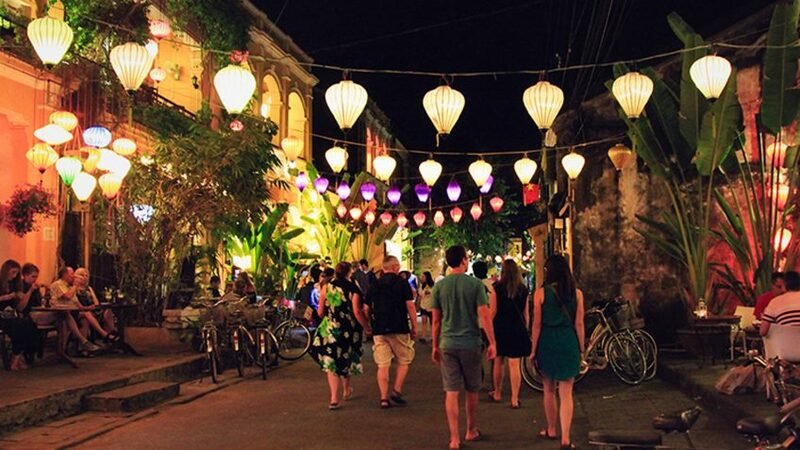 This coming summer, don’t hesitate to set up a team of close friends and make a trip to Da Nang-Hoi An! 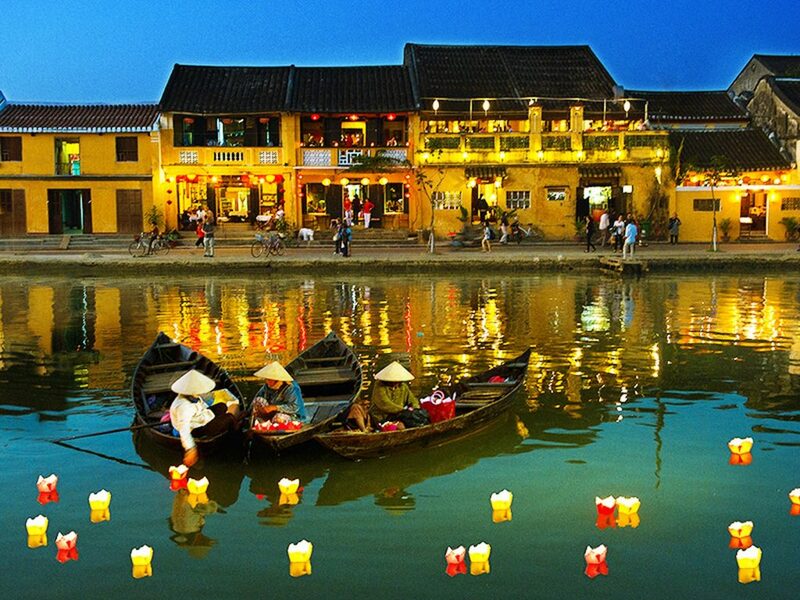 A perfect Da Nang-Hoi An 4 days 3 nights itinerary has to be planned well with the suitable type of transportation. 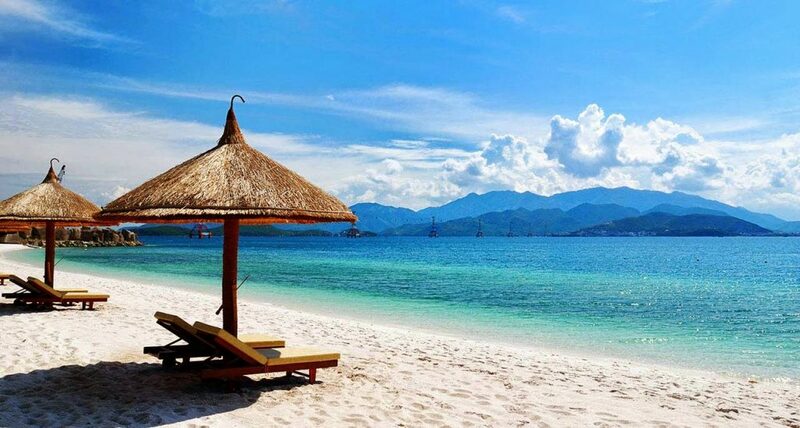 The best choice to travel to Da Nang is “hunting for cheap flight tickets” more than one month in advance. The two airline corporations that offer regular shocking discount programs are Jetstar and Vietjet Air. You had better hunt for round- trip flight tickets as early as possible because the earlier you book for your flight, the cheaper the tickets are. 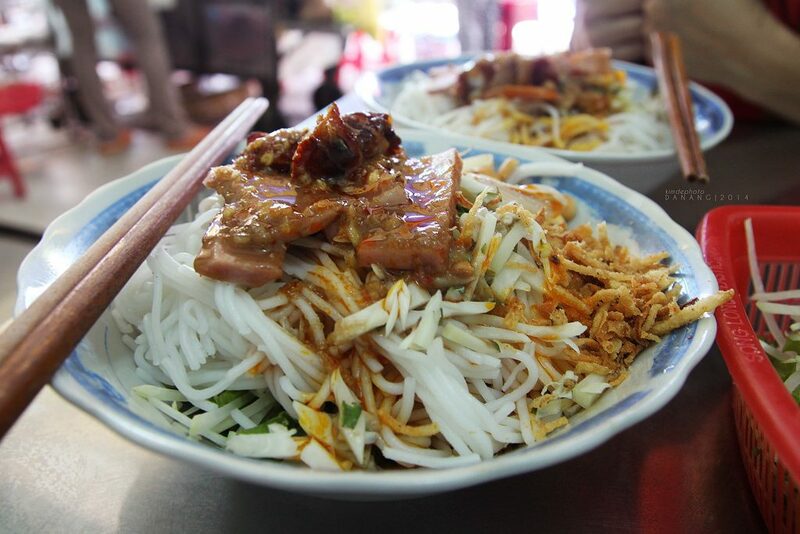 What to eat, what to see in Da Nang and Hoi An, please go to the end of this article. After arriving at Da Nang International Terminal, you can get your rental motorbike from the company staff (don’t forget to contact the motorbike rental company in advance through email or any other channels offered before you start your trip or you can buy a Vietnamese SIM card at the airport for easier domestic contact). 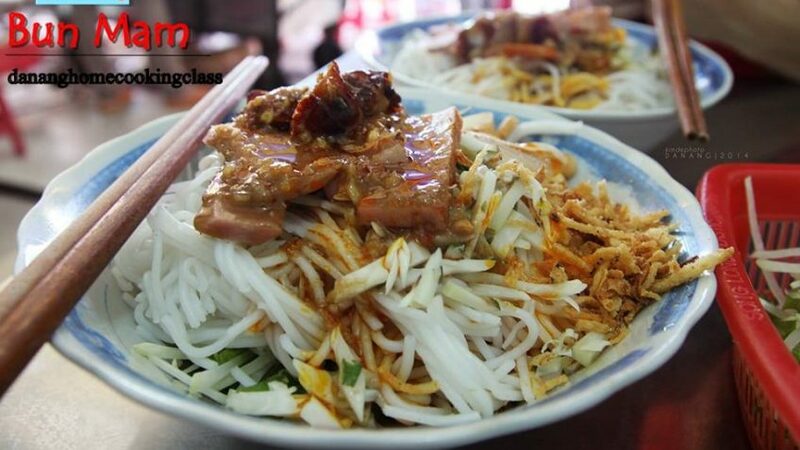 On the way to your hotel from the airport, a cannot-missed eatery is a very local restaurant named “Madam Van” which offers rice noodles served with special fish sauce and crispy grilled pork. Location: Alley K23/14 Tran Ke Xuong Street. 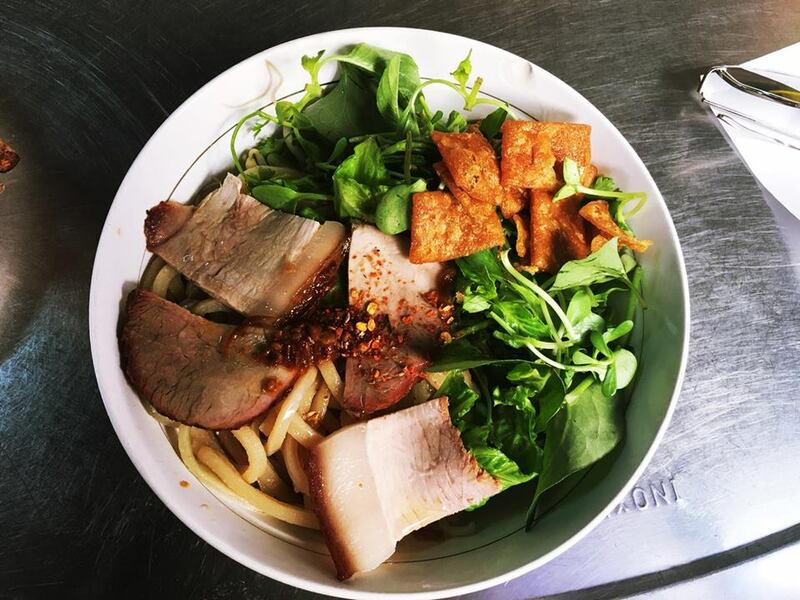 Price: 25,000 VND/bowl of all kinds of rice noodles with different ingredients such as boiled pork, Vietnamese sausage, and grilled pork. After filling up your stomachs with the good local cuisine, time to check-in Memory Hostel. This hostel locates close to the end of Dragon Bridge where it is very lively with local activities and there are a variety of eateries around. It offers stunning view looking out to the river and the famous Dragon Bridge. The staffs are super nice and friendly. Besides, a quad room costs 600,000 VND/night. Taking a rest in the hostel, then you can make a short “discovery trip” to East Sea Park and get ready for taking beautiful photos with flocks of cute doves flying and landing on the pavement near the beach under afternoon sunshine. After photo time, it’s when you come back to your hotel for washing and get dressed for eating out at night. When sunlight gradually disappears, all buildings of the city are lit colorfully and hundreds of eateries open their business for vivid nightlife. 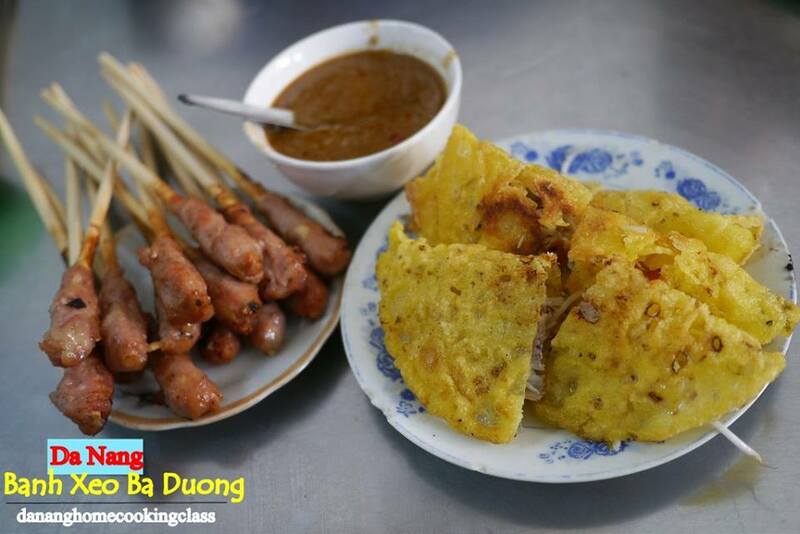 Now is the perfect time for a dish of pancake and BBQ pork (nem lui) made by a famous local restaurant named “Madam Duong”. Here serves good specialty food at reasonable price. You will pay for your meal depending on how much you eat. 4 people may have to pay about vnd 200,000 for a big dinner of pancakes and “nem lui”. Location: At the end of the alley K280/23, Hoang Dieu Street (you can ask locals for the right restaurant because there are many other pancake restaurants along the same alley that can make you confused). Love Lock Bridge which locates right at the head part of Dragon Bridge must be the next destination at night for young couples and selfies. When night comes, all fascinating heart-shaped lanterns along this romantic bridge will be lit on red. Why don’t you take some photos here with “your friends”? From this bridge, you are provided with a perfect view to Dragon Bridge in different beautiful colors and the huge magnificent statue of a carp fish transforming into a dragon as the symbol of the city’s prosperity. Finishing your short “love trip”, you can taste some more dishes as dessert before having a nice sleep at your hotel. Bach Dang Street is one of the most crowded and lively streets at night in Da Nang with varied coffee shops, bars, pubs, restaurants, etc. Most especially, the dessert made from coconut is a specialty food of this street. You can enjoy the fresh and unique flavor of coconut yogurt, coconut jelly, coconut milk, coconut caramel, durian yogurt, etc. The view offered on the 2nd floor looking to the river and the street will give you a great chance to take wonderful photos. Now, it’s time to catch a taxi back to your hotel and take a rest for tomorrow trip. How about getting up early and climb to the rooftop of your hotel to eye-witness the stunning sun-rise view from this perfect angle? The early local life, gentle Han river, the quite bridges and people doing exercises on the pavements along the riverside will give you a great deal of positive energy for a new day of discovering. Now, filled with pleasure, it’s time to dress up and get ready for breakfast. Do you want to be a local to eat what they usually eat for breakfast? If so, Quang rice noodles is what you should go for. Quang rice noodles cooked with pork, shrimp, (or chicken if you prefer this type), quail egg and thick savory broth. 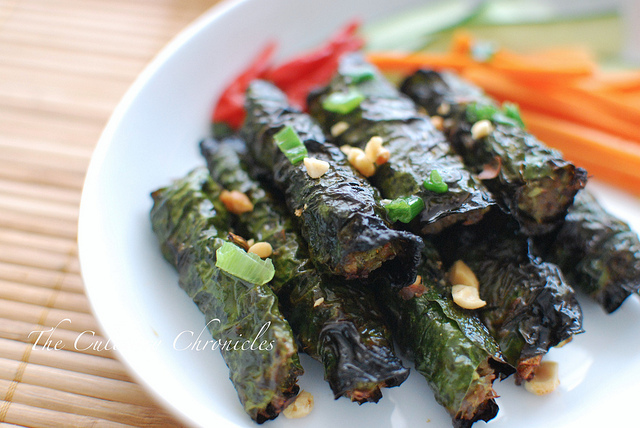 Crispy rice crackers and fresh raw vegetables will give you the extra feeling of satisfaction. Breakfast time is over. It should be 8 or 8:30 am. Now get on your motorbikes and head to Ba Na Hills. Ba Na Hills ticket price: vnd 700,000/person. If you also want to explore Wax Museum and Debay wine cellar, you will have to pay vnd 140,000 extra for each person. 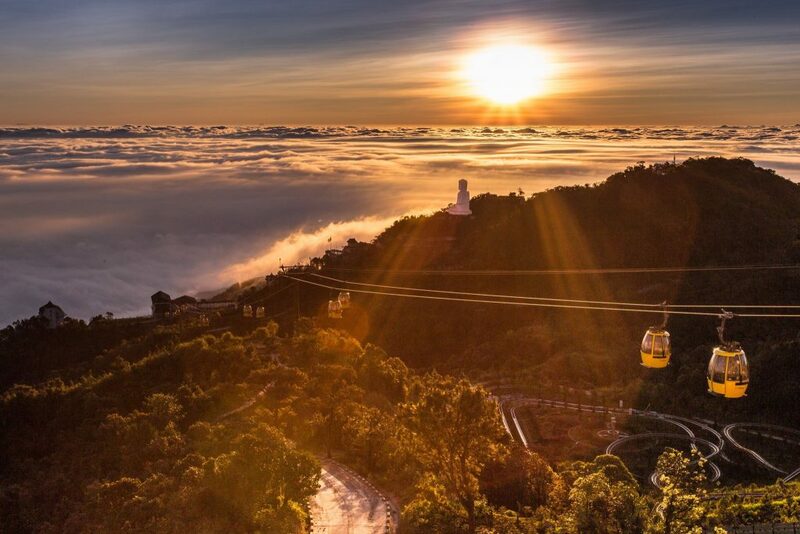 Ba Na Hills has its own reason to be called “the way to heaven”. There are uncountable beauty spots here for you to contemplate such as French Village, Le Jardin d’Amour Flower Garden, spiritual landmarks like Linh Ung Pagoda, Tombstone temples, Campanile, etc. More than 105 indoor games in Fantasy Park are price-included in your ticket. So, just play as much as possible to exhaust yourselves. The special outdoor games that you “must not” skip are Funicular and Alpine Coaster which will bring you a lot of excitement and unforgettable moments of thrilling. The amazing visit to Ba Na Hills may finish at about 4 pm. Now you can come back to the city for a rest in your hotel. Afternoon dish is waiting for you after that nap: Fish Cake Noodles with hot broth. 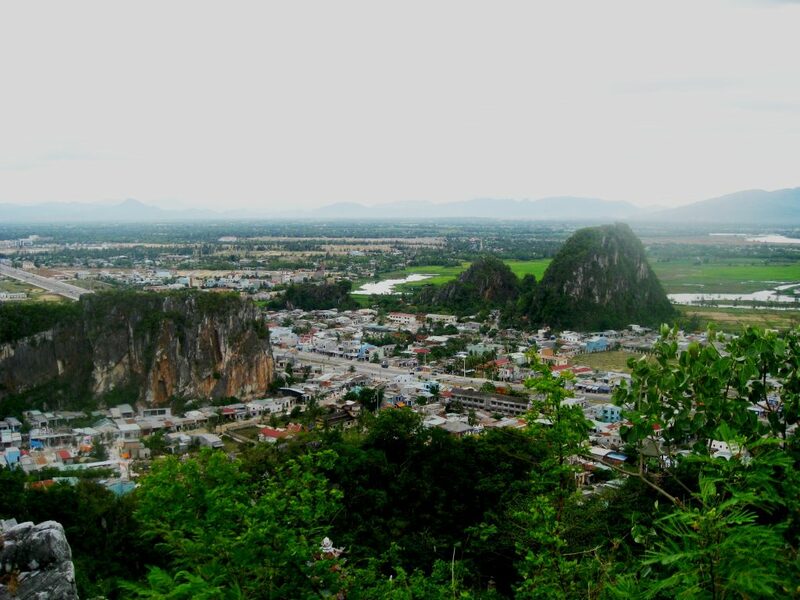 Location: 113A Nguyen Chi Thanh, Hai Chau District, Da Nang. 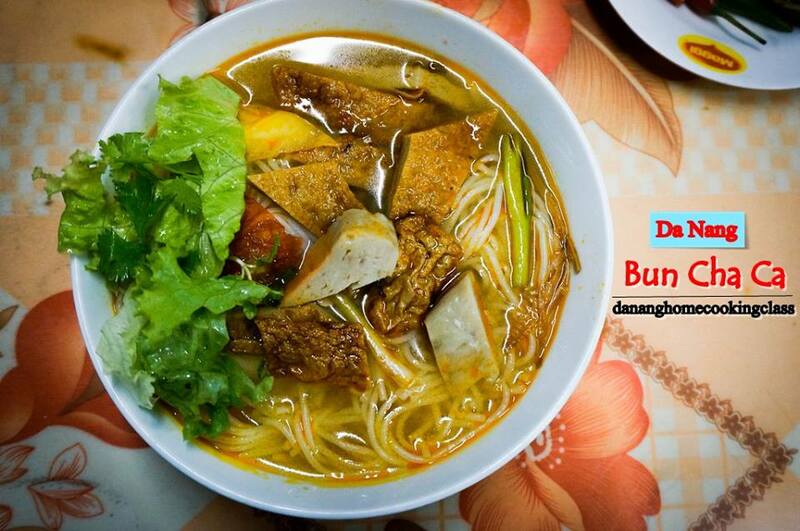 When you are completely full (out of the big delicious noodles bowl), get ready to take a walk to Bach Dang Street which is very close from this eatery to enjoy the local vivid nightlife. 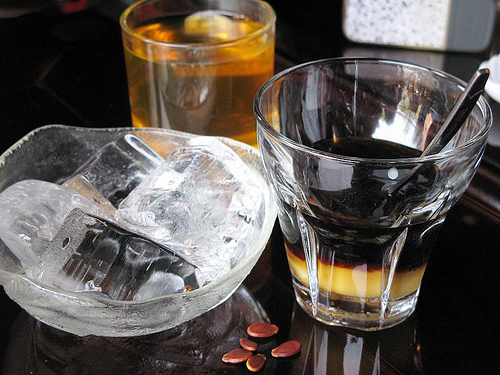 Now, it’s time for a cup of Vietnamese coffee. There are lots of cafés along Bach Dang Street for you to choose as a perfect spot for chatting with your friends and viewing the city life such as Cong Café, Café Karty, Highland Coffee, Memory Lounge, etc. 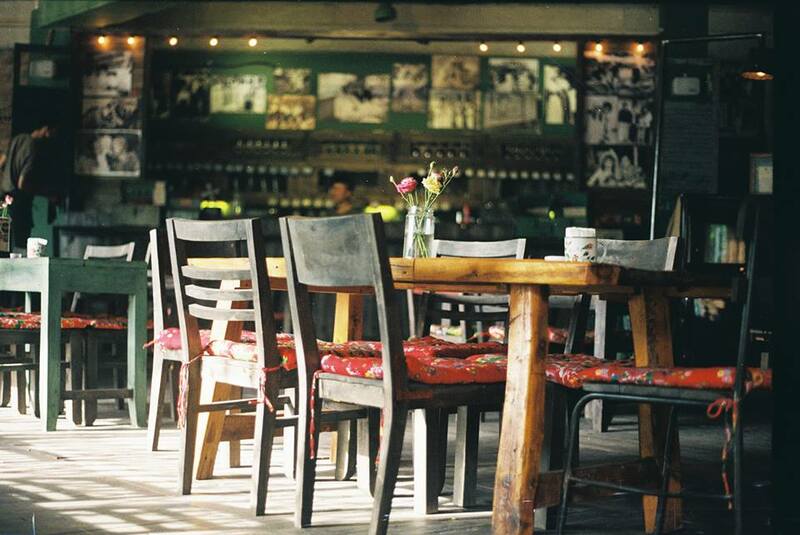 Cong Café: 96 Bach Dang Street: an ideal place for your group to talk and enjoy the local city life. Coffee time is over. Don’t be reluctant to take a walk along Han Bridge to contemplate the whole colorful city view in the middle of the bridge and enjoy cool wind from Han River. This walk will give you a meditation time for a deep sleep this night. Now, a change for breakfast menu: Hue Beef noodles of Madam Thuong. 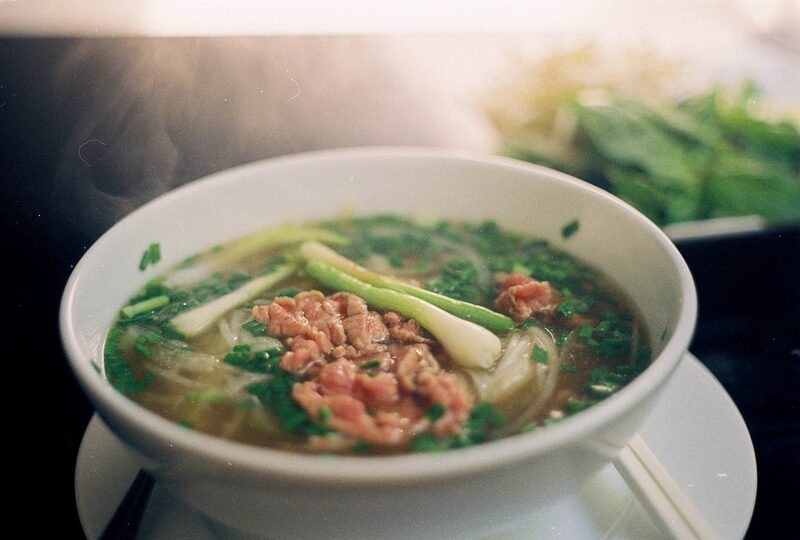 The hot and savory broth with local herbs of this dish will give you a feeling of refreshment in the early morning. 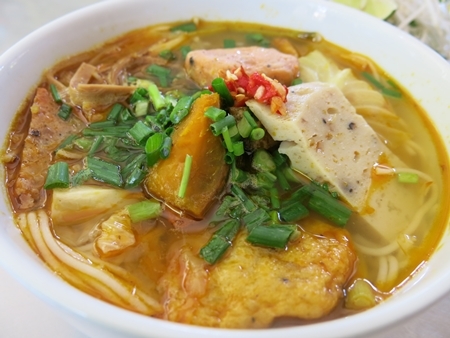 This eatery has more than 20 years of experience in cooking this specialty food of Hue. So it is very famous with locals, the food will be sold out in a short time. Try to get up earlier than usual, my friends! Get on your motorbike and make a trip to Son Tra Peninsula for fresh morning air on the streets uphill. 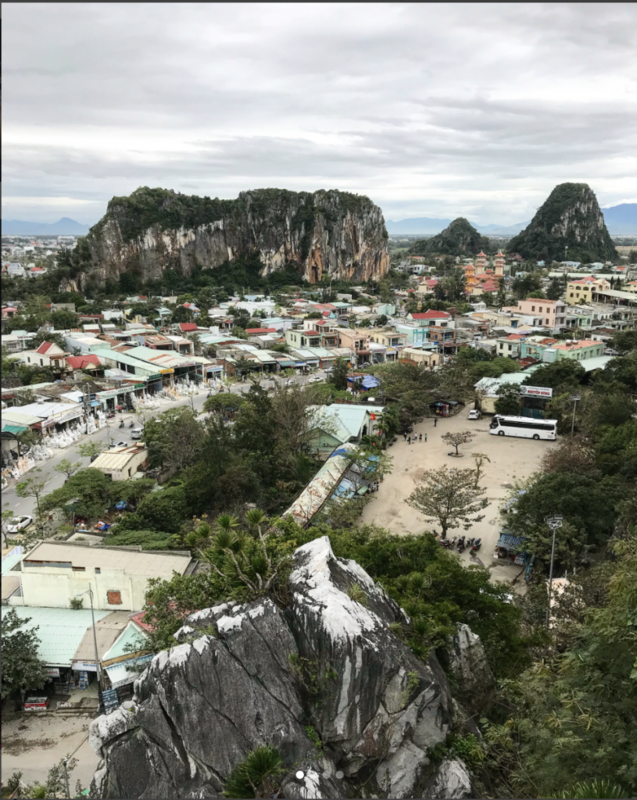 You can drop on some magnificent spots along the way to Linh Ung pagoda for “check-in photos” because the view looking from this angle is perfect to the sea and the whole city downside. You can spend 1 or 2 hours visiting Linh Ung pagoda and then keep travelling to the top of this mountain if you are still energetic to discover Ban Co mount and 100-year-old Banyan Tree. The motorbike trip to destinations in Son Tra Peninsula will take you the whole morning and now it is lunchtime. Drive straight to Beo Seafood Restaurant for a perfect lunch. Location: The crossroad between Le Duc Tho Street and Hoang Sa Street. Price: from 15,000 to 300,00 VND. It is very reasonable compared to other seafood restaurants. After your big lunch, you can come back to your hotel for check-out and then find the nearest petrol station to fill up your “horses” with vnd 50,000 of gasoline for each motorbike (vnd 100,000 for 2 motorbikes). 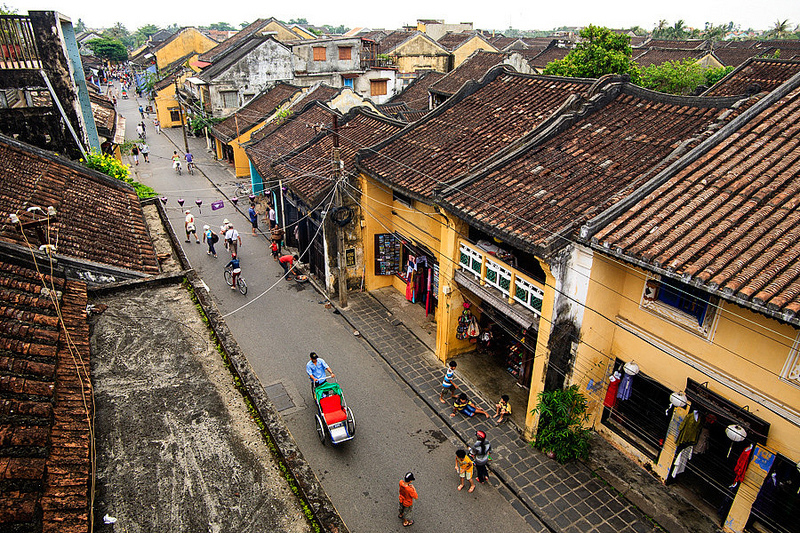 And the next destination is Hoi An ancient town. 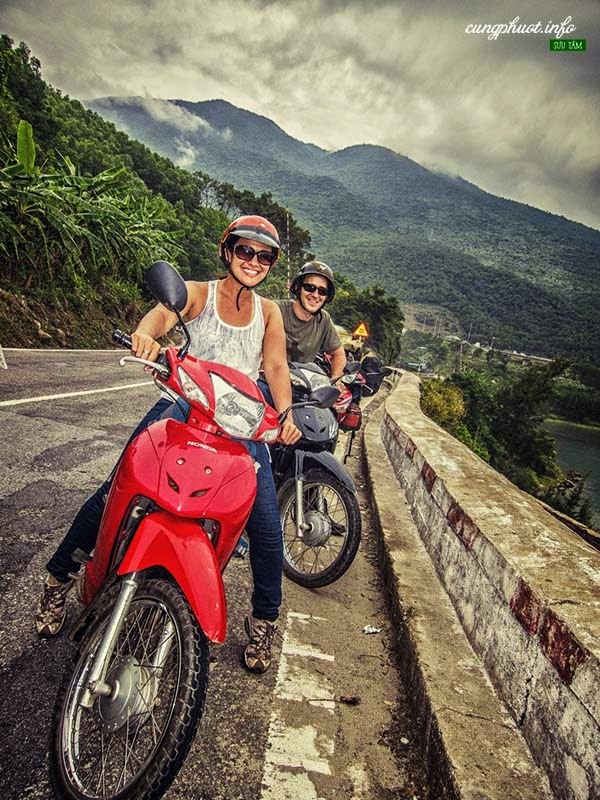 It only takes you less than an hour to travel from Da Nang to Hoi An by motorbike (only 30km). You just need to drive along the seaside road the whole journey and take only one right turn then it comes Hoi An area. On the way, your team can drop by to “check-in” Marble Mountains to the right side and the beautiful beach to the left side. The very first local cuisine you MUST try to have the initial impression about Hoi An’s local food is Banh my Phuong (baguettes made by Madam Phuong). Together with Banh my Madam Khanh, these two are the most famous “Banh my” sellers in Hoi An. 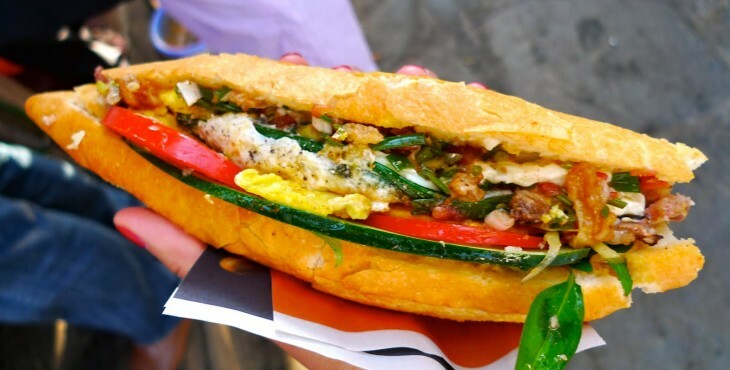 Banh mi with a variety of ingredients inside such as garlic butter, grilled pork, grilled sausages, omelette, cheese and onions, pork ham and pate, bacon, and also Banh mi for vegetarians with vegetable and salad as main ingredients. Price of Banh mi: from vnd20,000 to 30,000. 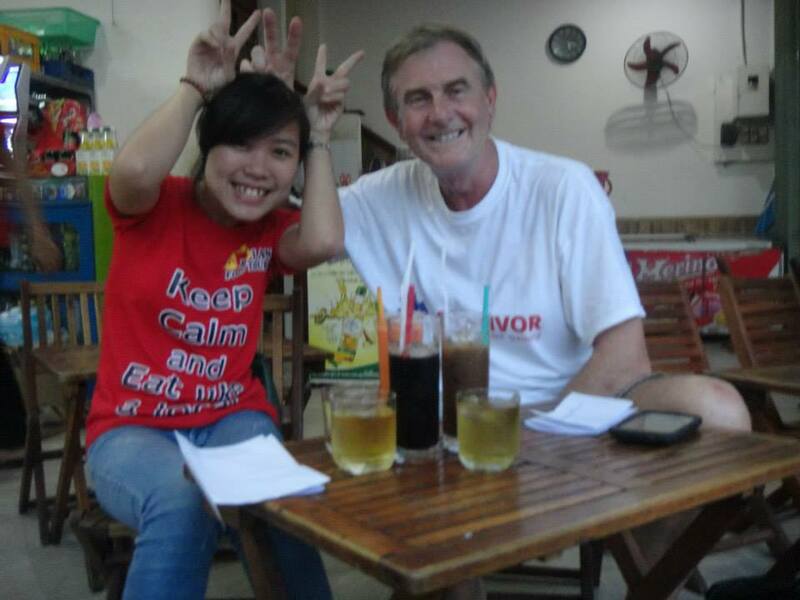 After Banh my, you can check-in Moon’s Homestay at 82 Ngo Quyen Street or An Hoi Hotel at 69 Nguyen Phuc Chu Street. An Hoi Hotel has an ideal location in the middle of the city center for easier access to visits and activities. It also offers a swimming pool for guests. The front street is only for pedestrians and the street behind it named La Hoi Street allows motorbikes to travel. Price: a quad room costs vnd 500,000/ day. After check-in your hotel, you can swim for a while in the hotel swimming pool and then get dressed for an ancient town night walk. The beautiful old quarters with narrow alleys and vaporous lights from colorful lanterns hung in nearly every corner of the town will make you a little nostalgic and peaceful. Now your team can move to the other side of the town across the nearby bridge to immerse in a crowded night market where many local snacks and souvenirs are sold by locals. Your long walk will soon make you feel hungry again. However, don’t just drop by to a random restaurant among hundreds of restaurants along the streets. Madam Buoi chicken rice is a cannot-skip specialty dish in Hoi An you must try now. A dish of good chicken rice will give you more energy for the left part of ancient town discovery. 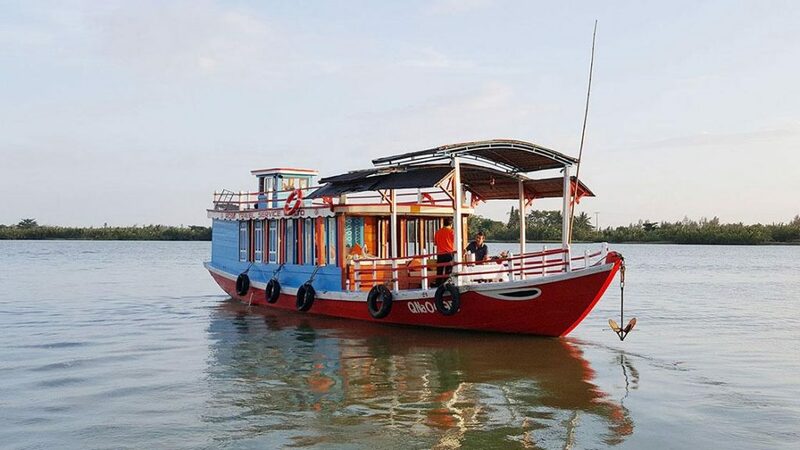 Your team can rent a boat (with lifejackets and local sailor) to enjoy river view and the busy colourfully- lit streets from two sides of the river. Then you will have a chance to leave lotus-shape lanterns on the river and make a wish as a local. You just need to go along the riverside where many sailors are standing on boats welcoming guests to their business, pick one boat and ask for the price first. If the price is as mentioned above, you can make a short boat trip right away. Don’t forget to try “stick ice-cream” and “sweet bean soup” sold by street vendors along the streets when you incidentally see. Those two dishes are perfect desserts that will make you become children in seconds. Now, no more to regret, walk back to your hotel in pleasure and take a nice sleep. 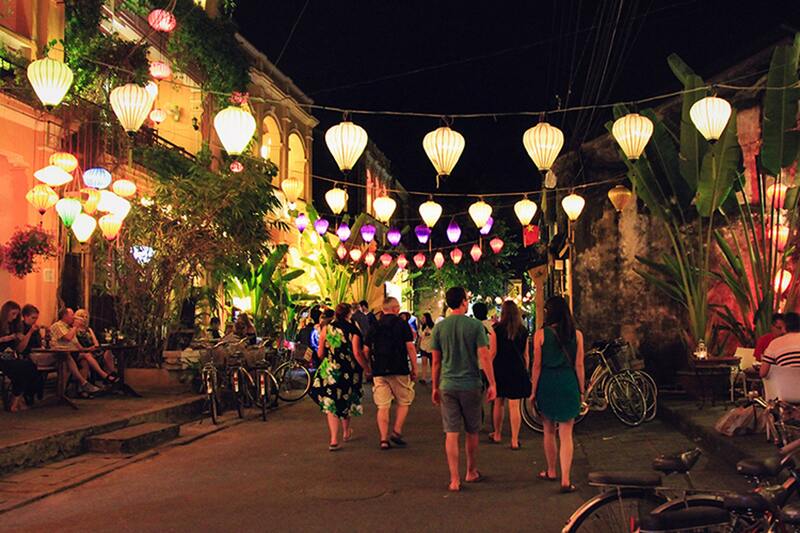 Read: More Things to do at night in Hoi An. 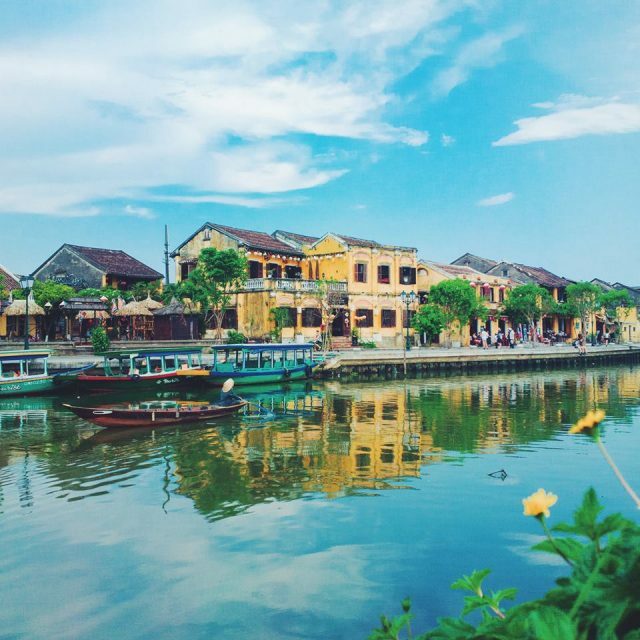 Hoi An is a lot different in the early morning. So try to get up early and rent a bicycle from a nearby shop (vnd 20,000/ a bike) or from your hotel if they may offer free ones. Now you should ride to the central market where local sellers are already there selling their freshest vegetables and seafood or local breakfast. Don’t forget to bring the camera with you! Bet that you can take wonderful photos ever! 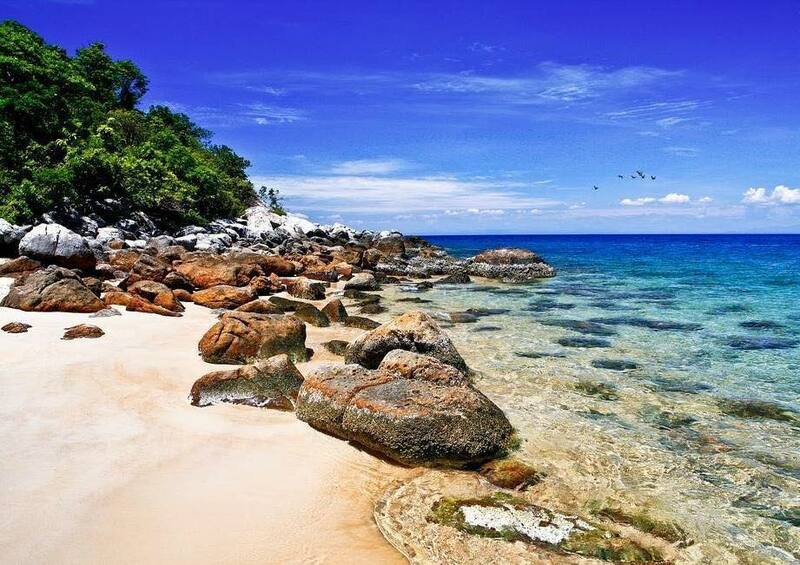 That delicious and nutritious meal will give you enough energy for swimming and sunbathing in An Bang beach later. You must come back to your hotel and drive your motorbikes to An Bang beach which is quite far from the city center. 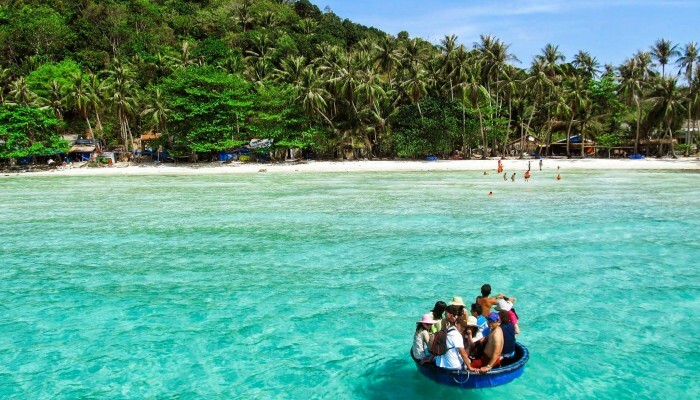 Apart from swimming and sunbathing, what else you can do in An Bang Beach? There are plenty of pubs, bars, cooking classes, tours and restaurants for you to enjoy your journey more completely. So what’s fun near An Bang Beach? Beach time is over. Now your group can come back to your hotel and check-out. It’s also lunch time. Then nothing is better than a bowl of Cao Lau made by Madam Ha in the central market you have been in the early morning. Location: After parking your motorbike in a local parking lot, you just go inside the food court area and find the brand name “Cao Lau Miss Ha” at the end of the left side from the main door. 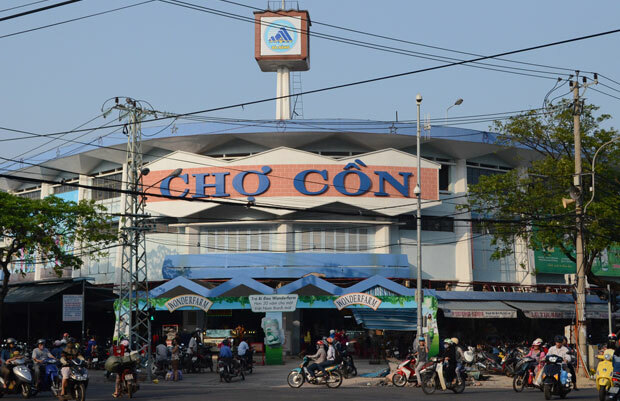 After Cao Lau, get ready for the motorbike trip back to Da Nang and discover Con Market- one of the two biggest local trading areas in Da Nang. You can find many souvenirs for friends and relatives as well as plenty of local snacks for tasting. 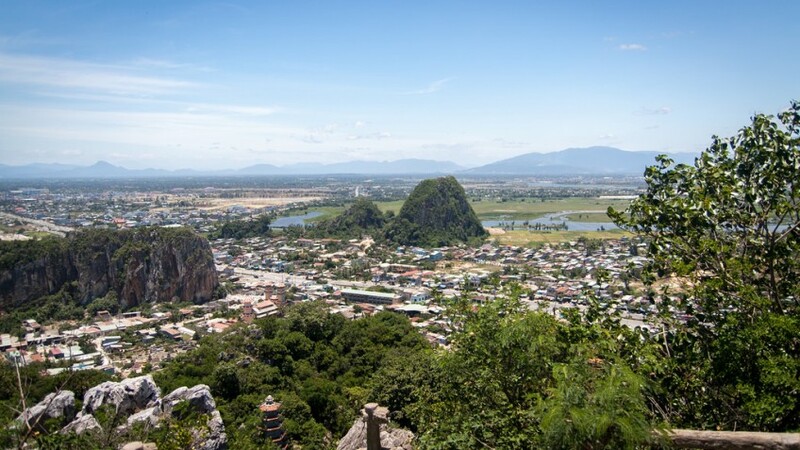 Now it’s time to travel back to Da Nang International Airport, contact to the motorbike rental company and return your horses to their owners then wait for check-in the night flight back to your home country or the next destination if you may go further. Address: 36 Ta My Duat Street (turning to Phan Boi Street from Pham Van Dong Street). Rental fee is from 80,000 vnd to 120,000 vnd per day depending on different types of motorcycle such as Jupiter, Sirius, Wave RSX, Wave S, Attila Victoria, Atila Elizabeth, Nouvo LX, Honda AirBlade. These motorbikes can be brought to your place at Danang international terminal, train station or hotel in working hour from 6 am to 23 pm. 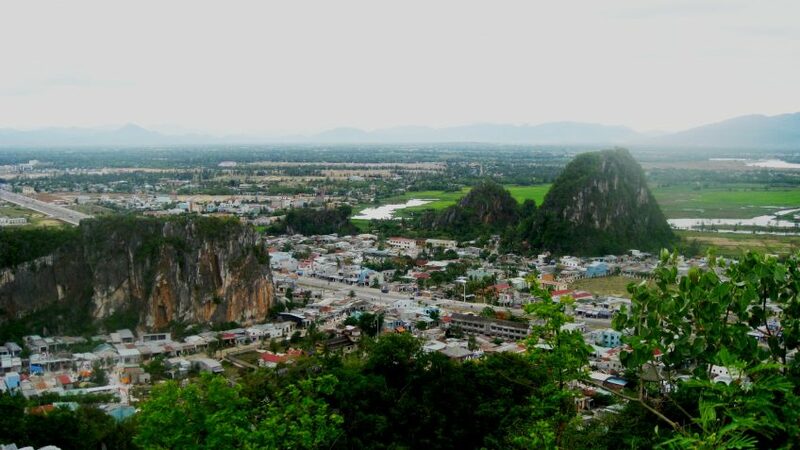 Address: K77/08 Tran Khanh Du, Ngu Hanh Son District. There are many different types of motorcycles available for you to choose. The company staff will also bring the motorbikes that you want directly to your place. 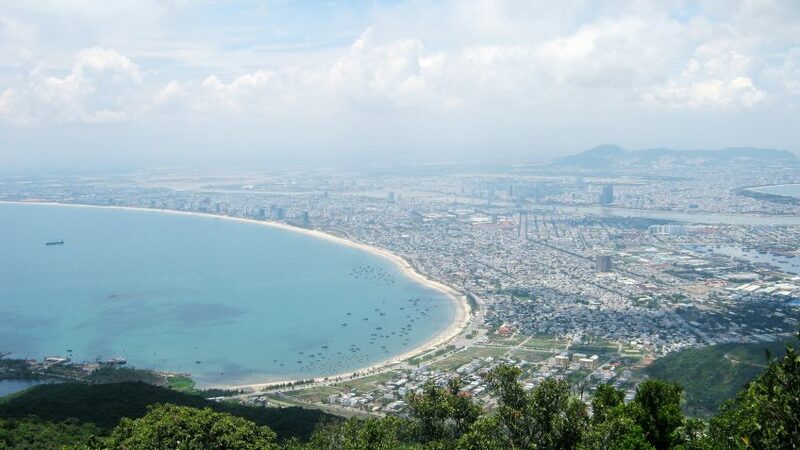 Useful traveling itineraries, detailed lists of local tourist destinations, good local restaurants and food stalls in Danang will be also willingly recommended and offered for free. It will become much more convenient because all of these companies offer the service of bringing your motorbikes right to the airport or hotel without charging. Memory Hostel is one of the most distinctive hostels with classical design and view to Han River and Dragon Bridge. + Double room price: vnd 400,000/ room. + Triple room price: vnd 500,000/ room. + Quad room price: vnd 600,000/ room. + Location: 03 Tran Quoc Toan Street, Phuoc Ninh, Da Nang. Haya Hotel is a new and modern fully- furnished 3-star hotel locating near My Khe Beach which is close to many hot tourist attractions in the city. +Location: 48 Phan Liem Street, Ngu Hanh Son District, Da Nang. 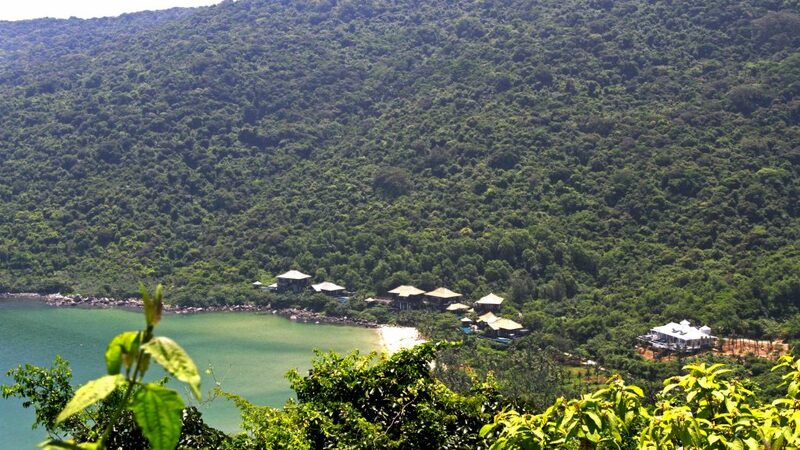 Da Nang Homestay is specially designed for backpackers. + Dorm- type room with air-conditioner: vnd 80,000/person/day. + Quad room (with private toilet): vnd 350,000/room/day. 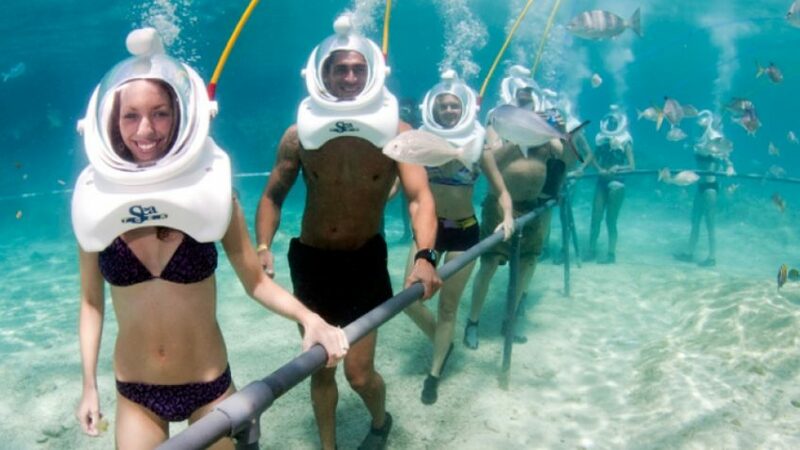 3 in 1: Sea Walking, Swimming and snorkeling. 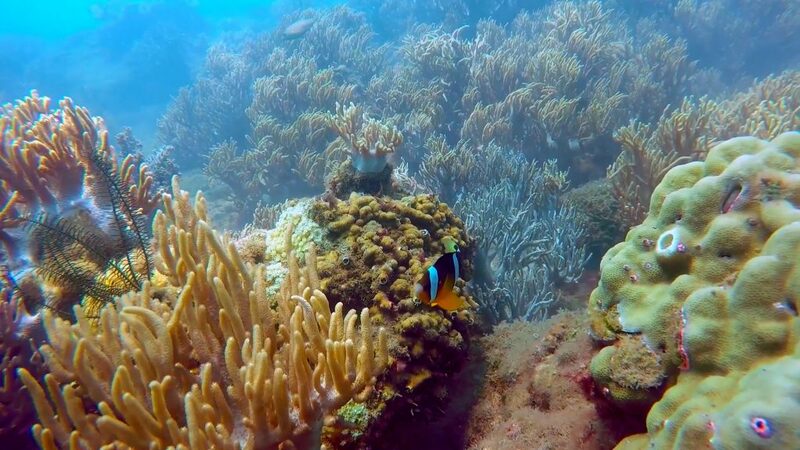 Explore marine life in Cham Island – the World Biosphere Reserve (Cu Lao Cham Marine Park). Experience Vietnamese wooden boat with free coffee. 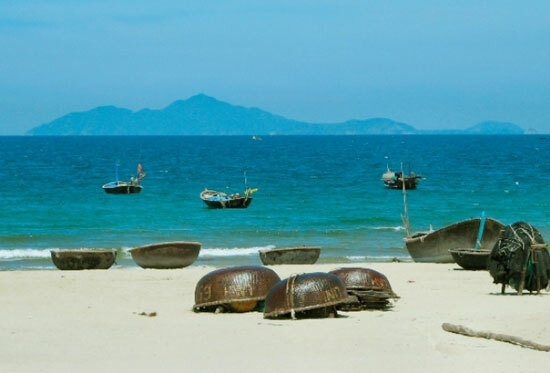 9.10 AM: Arrive at Hon Nhon beach to take part in the “ Sea Walking”, Swimming and snorkeling. 10h30: Seafood lunch. After lunch, guests can swim or just relax in the hammocks. 14h00: Return to the boat for the journey back to Hoi An. 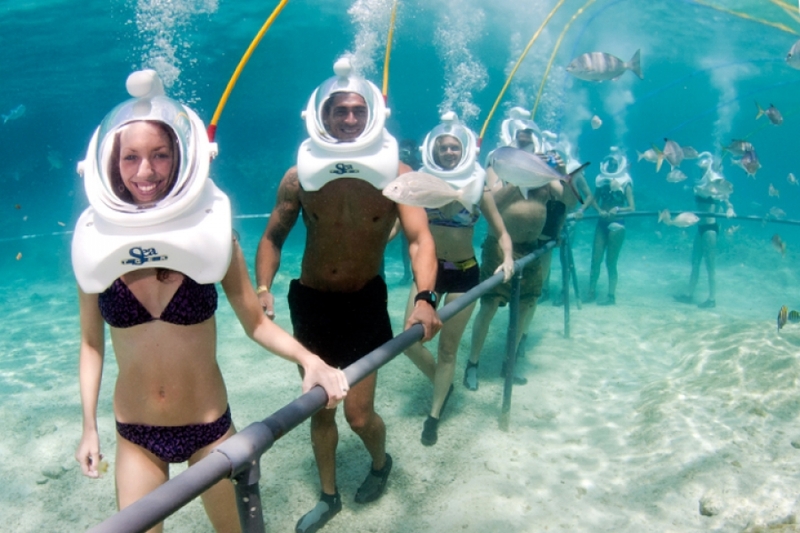 Sea walk excursion lasts for 20 minutes, consisting of about 2-5 minutes of training. All visitors will be required to complete a health questionnaire prior to diving. Some pre-existing medical conditions (eg asthma, heart conditions, etc) may prevent you from diving. Tour may cancel last minute if the weather is bad. We will refund all money to you. Child < 5 years old: Free, share seat and meal with parents. 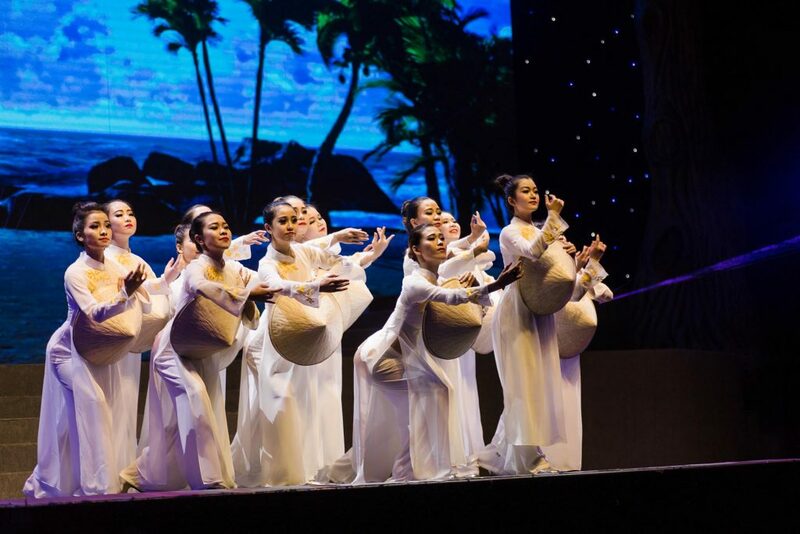 Charming Show Da Nang will lead you to know about Vietnamese culture, history and local custom. All performers “live”the performance. 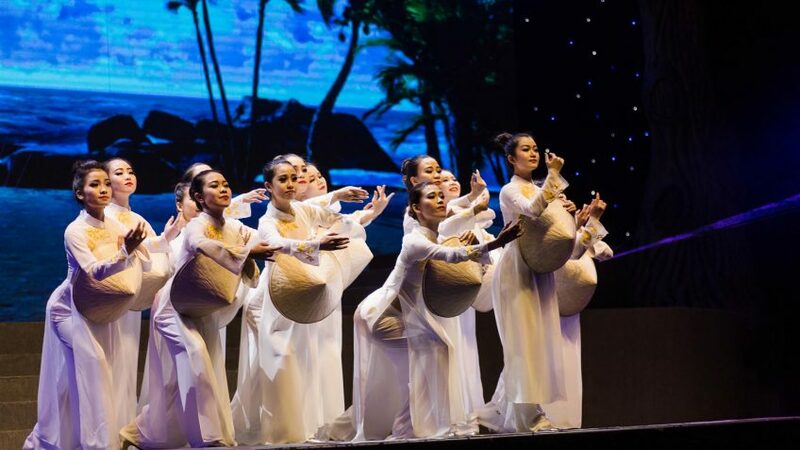 If you want to see some of the Vietnamese beautiful dance cultures, this is the place to see it. 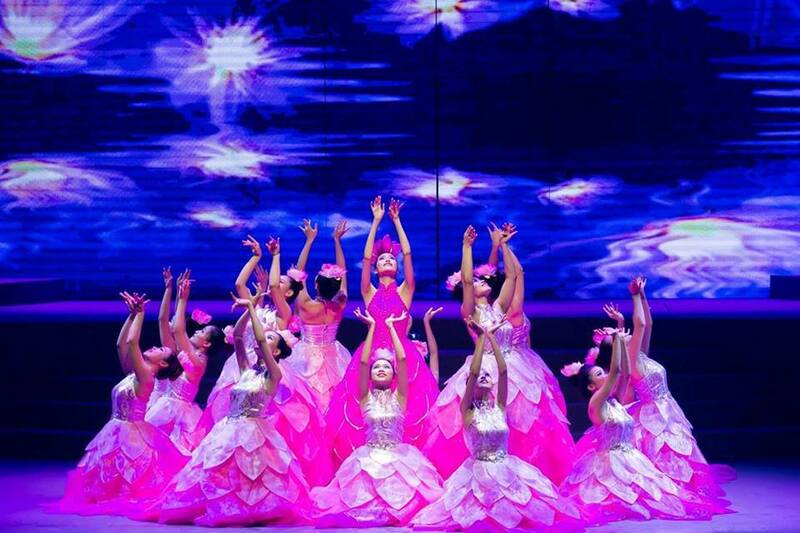 Even you don’t care for dance shows, you will find Charming Show Da Nang very engaging. The costumes are carefully designed creating a mosaic of colors and leaving the audience in euphoria sealing that Vietnam has a unique artistic approach to beauty. 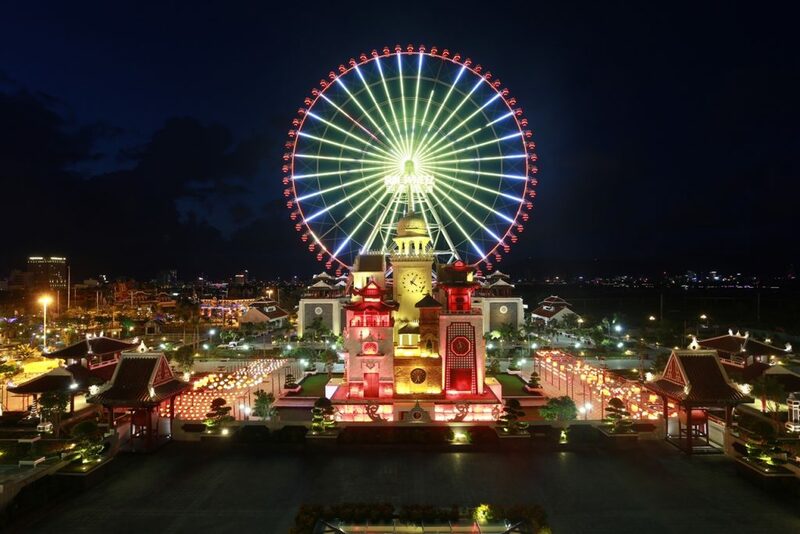 A 70-minute-performance starts at 4.30 pm and 7.30 pm every day will be your best night in Da Nang. Book with us, pick up is included. 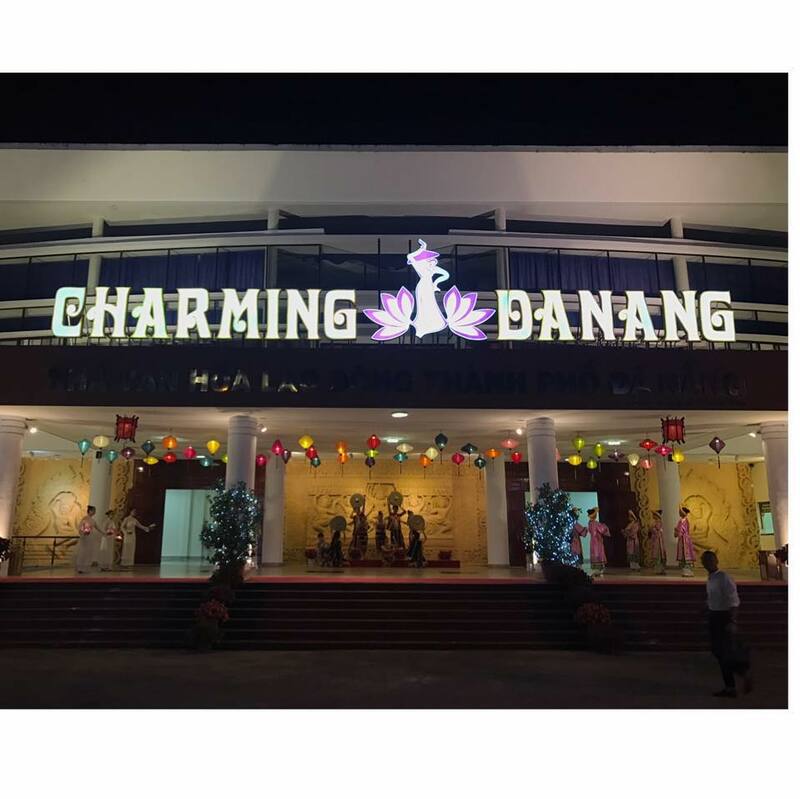 Why book Charming Da Nang Show with Da Nang Home Cooking Class? Meet up time: 4.00 PM and 7.00 PM. Child > 1.1m: pay same adult. If anything changes last minute, please call our customer service +84 976 128 977. 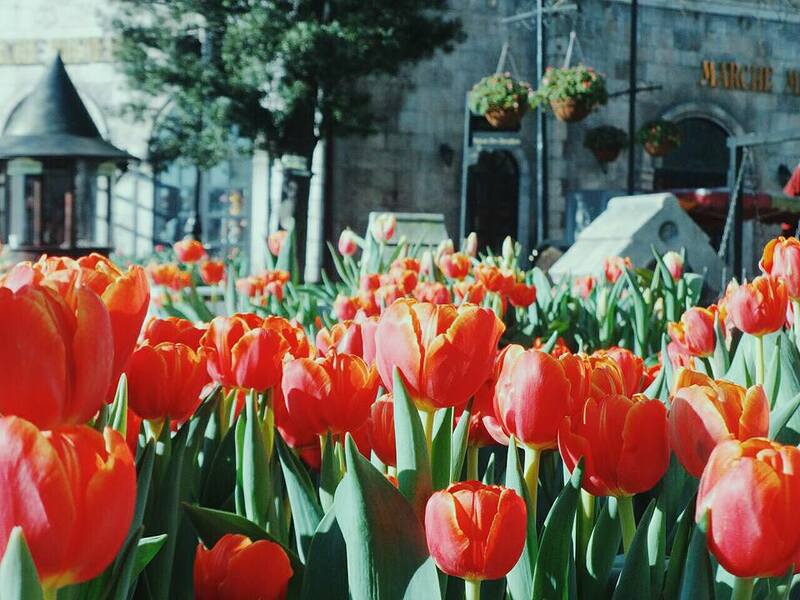 What to explore in Ba Na Hill if you have one day? Ba Na Hills: The way to heaven. The ideal destination on top of Chua Mountain, far away from noisy city and residency area together with the magnificent beauty of its ancient French- style designed castles make Vietnamese people name Ba Na Hills as “The way to heaven”.Ba Na Hills is a well- known complex tourist destination offering a variety of new, modern and appealing entertaining activities for visitors. It is a place for photography, wedding shots and honeymooners and children’s will love it. Don’t hesitate to get ready for planning an amazing trip to the mysterious Ba Na Hills with Da Nang Home Cooking Class. Children between 1-3m tall: 600,000 vnd. Ba Na Hill office: 93 Nguyễn Văn Linh , Hải Châu, Đà Nẵng. Or you can buy at the entrance gate. 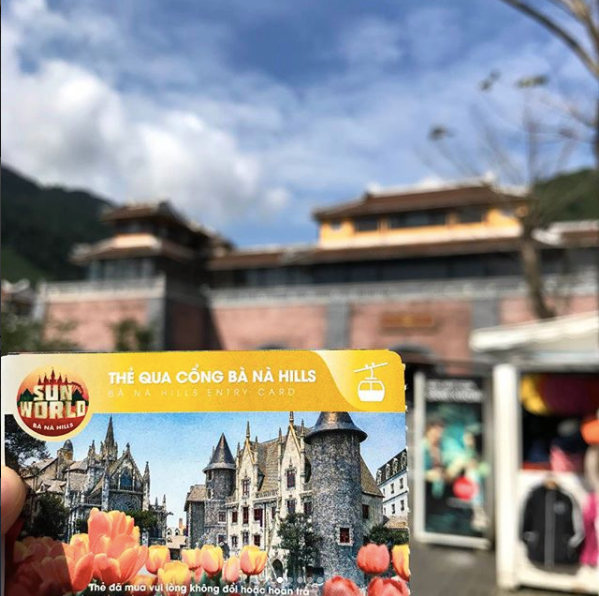 However, on weekends or during high tourism season, you have to line up for a very long time to buy tickets to Ba Na Hills. What is more, it will be more tiring to groups with children waiting for buying tickets. 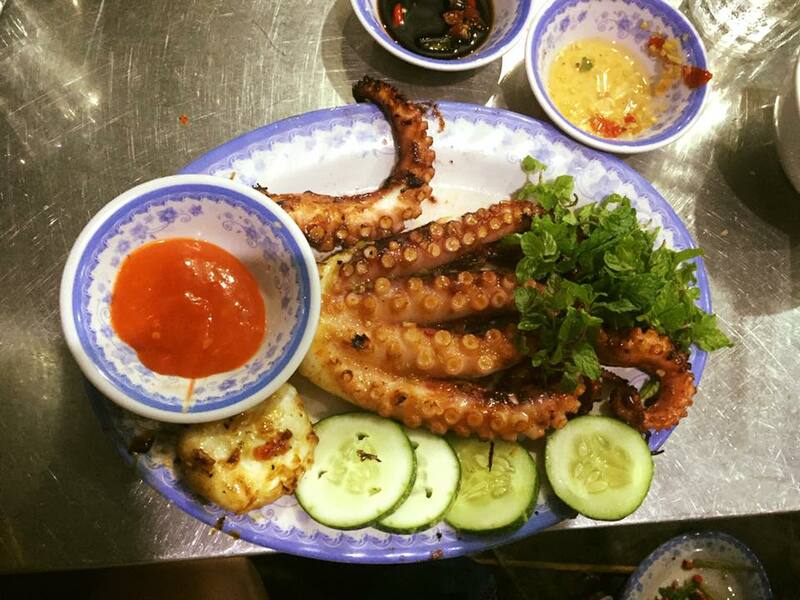 You can book a day trip tour to Ba Na Hills Da Nang Cooking Class. The staffs there will arrange for picking you at Danang city center or at your hotels as your request. Price: 45 USD/ 1 pax. 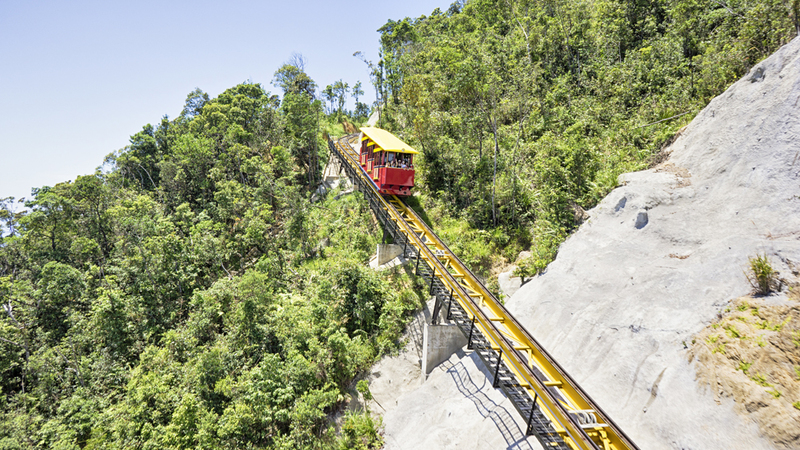 The cable car traveling is divided into 2 lines: Suoi Mo- Ba Na (line 1), Debay- Morin (line 2). Line 3 from Suoi Mo to L’Indochine has just been constructed and applied into operation. You can choose one line of departure and the other for way down to have different unique experiences. You may like spending most of your time taking photos in this romantic and magnificent garden because of its picturesque European architectural style. The garden is divided into 9 smaller parts which are all covered in poetic and nostalgic beauty of a forest of gorgeous flowers. Each part of the garden was designed on a different theme with different decoration and arrangement, which gives you more than the feeling of excitement to explore this place. There is a maze in Le Jardin D’Amour garden which is all time cool and quiet, perfect for you to walk around for relaxing. The outside of this maze is full of sunlight and can be a little hot at mid-day time, especially at about 10 am till 2 or 3 pm. The flowers and decorating sections here are also low in height. 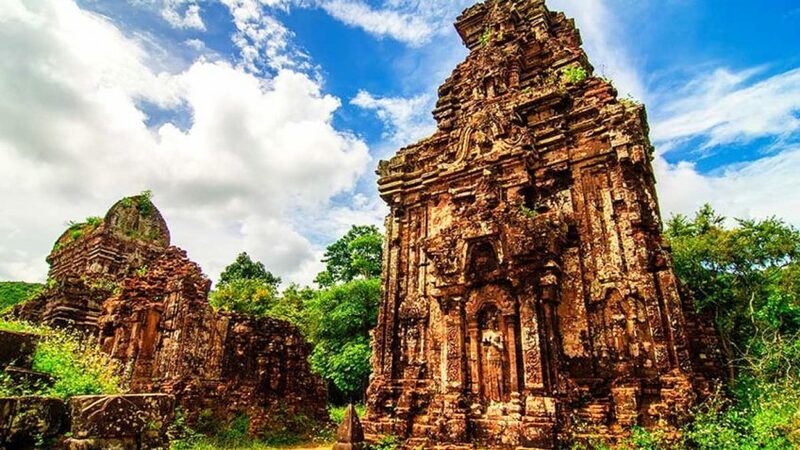 You will have a chance to explore some amazing destinations such as picturesque Le Jardin D’Amour flower garden and Debay Wine Cellar or Tinh Tam garden, etc. The train offers one lift in every 5 minutes, operates on 400- meter long cable system along the hill and can fit 80 people. You can really feel excited about this brand new activity because you don’t have to wait for too long for your turn though there are many passengers queuing for tickets. 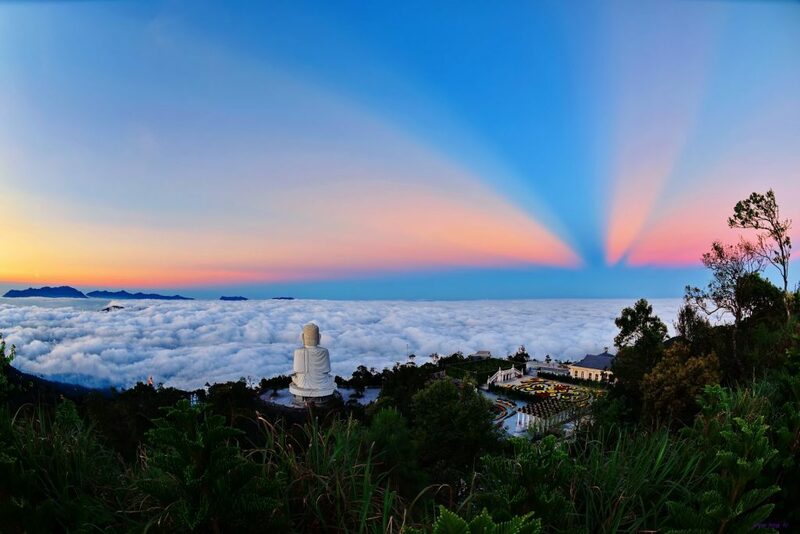 In Ba Na Hills, you will have a chance to visit one of the three Ling Ung Pagodas in Danang. After getting off the cable car, you can spend some time walking to this pagoda to set incense and pray. 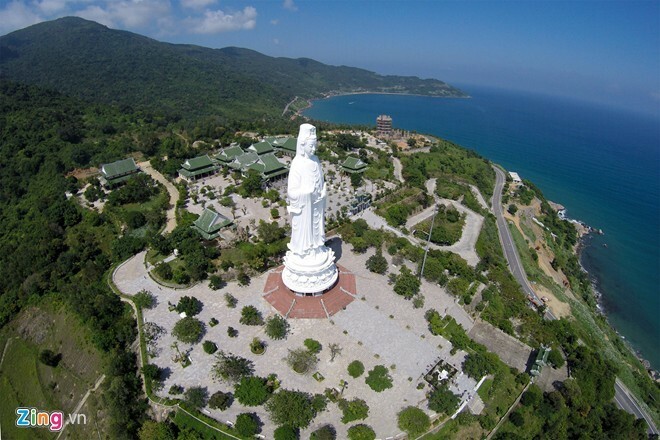 There is a huge 27m- height Shakyamuni Buddha Statue sitting on an 8-side platform which symbolizes 8 stages of Buddha’s life. A big garden was built in the pagoda area to represent the first place where Shakyamuni Buddha had given his very first religious lesson. 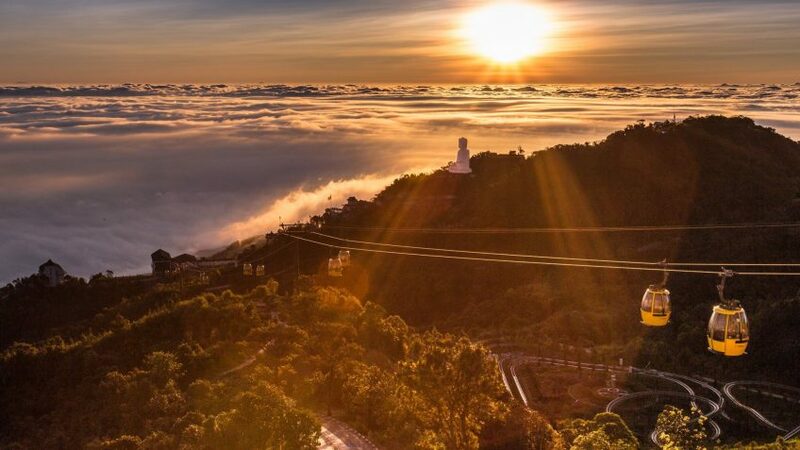 It can take you from 1 to 2 hours to discover the whole large area of this pagoda, which is filled with cool wind, peace and quietness, not as noisy and crowded as most other parts of Ba Na Hills. This unique wine cellar was built in 1923 by French colonists for the purpose of storing their wine. Though decades have passed, its inside structure is still quite firm as its first days thanks to a special kind of material used for constructing this place- quarried stone blocks. There are many impressive wax statues of famous people around the world from different fields such as politics, movies, entertainment exhibited. How enjoyable you may feel to take photos with distinguished scientist Albert Einstein, respectable President Obama, well-known football player David Beckham and Lionel Messi, movie star Jackie Chan, etc. Entrance fee is 100, 000 vnd per adult or children over 1.3 m in height. Children under 1.3m in height enter for free. If you haven’t been to any Wax Statue Museum before, this museum will be a good choice for visiting and exploring interesting things. Though the statues look quite like real people, they can sometimes scare children. 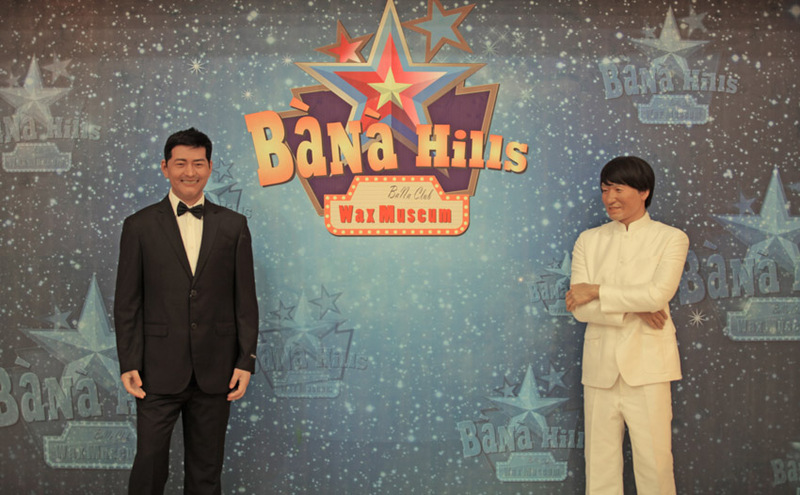 However, if you have been to Wax Statue Museums in Singapore or Thailand, you can skip this place in Ba Na Hills to discover other places here instead because these museums are quite same with just different wax statues. 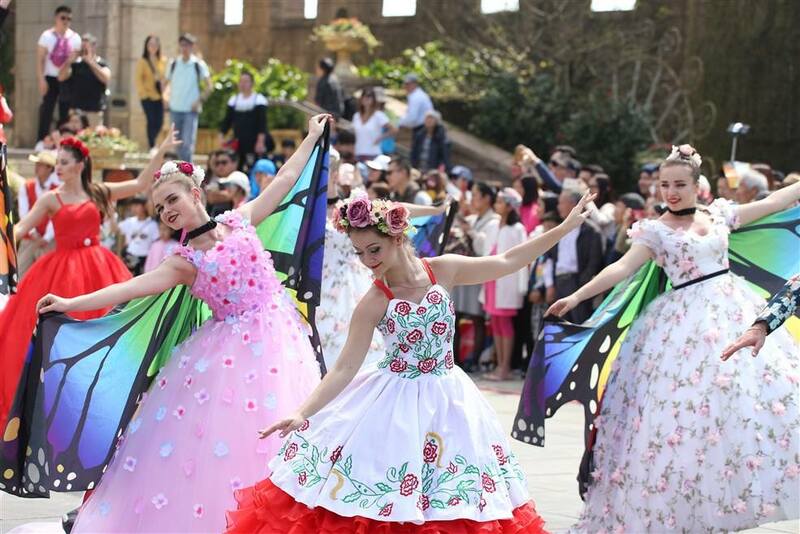 Fantasy Park may be called a cannot-be-missed destination in Ba Na Hills when you have a chance to visit this place. This unique indoor entertainment zone is built in an area of 21,000 square meters and recognized of international standard. Most of the indoor games are free (included in entrance ticket) consisting of not only simple games for kids but also thrilling games such as climbing rock wall, horror house, bumper car driving, tower drop, skiver pilot, etc. These games are not as scary as their names may appear. You just shouldn’t take a risk to play them when you’re too full or you are not familiar with thrilling games. 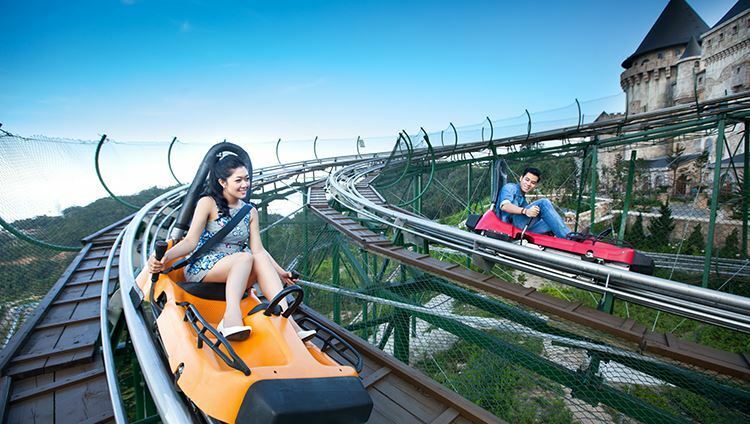 The alpine coaster is one of the most favorite outdoor game in Ba Na Hills, same as one in Datanla waterfall in Da Lat city but better quality, and can create more joy as well as excitement for tourists, especially young people who may even play the game again and again for thrilling. This ancient French architectural village has just been constructed and on operation in Ba Na Hills. It is called “a mini ancient European world” on top of Chua mountain. Talented and experienced French architects have worked in designing the village to create a real nostalgic space here. Visiting this village, you will discover a great deal of French cultural features. The highlights of Ba Na architectural constructions are splendid ancient castles, paving paths, gothic irony fences, etc. Since the place was open for tourists, many couples have come to take their wedding photos or celebrate the honeymoon. 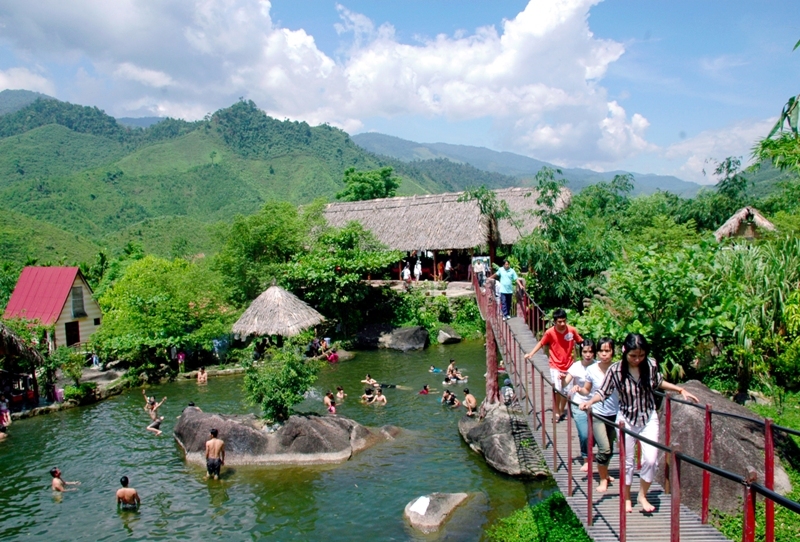 During summer, no one can resist the attraction of Mo spring because of its cool and clean natural water. There is another spring named Toc Tien which literally means “Hair of angels”. It is 9 meters long and flows through the forest like long locks magically flying with the wind. Cham Stone is the only luxurious souvenir shop in Ba Na Hills that offers hundreds of goods for souvenir purpose. You can have your carved portrait and buy unique gifts for your friends and relatives at home. The price of these goods is obviously expensive here. Personally, I would rather buy local specialties when I return to Danang city center instead because the price for these souvenirs is way cheaper. 4. What to eat in Ba Na? Bring food with you and eat at resting areas or eating areas in different destinations. You can save more money for your journey thanks to these meals though it may make your bag bigger. 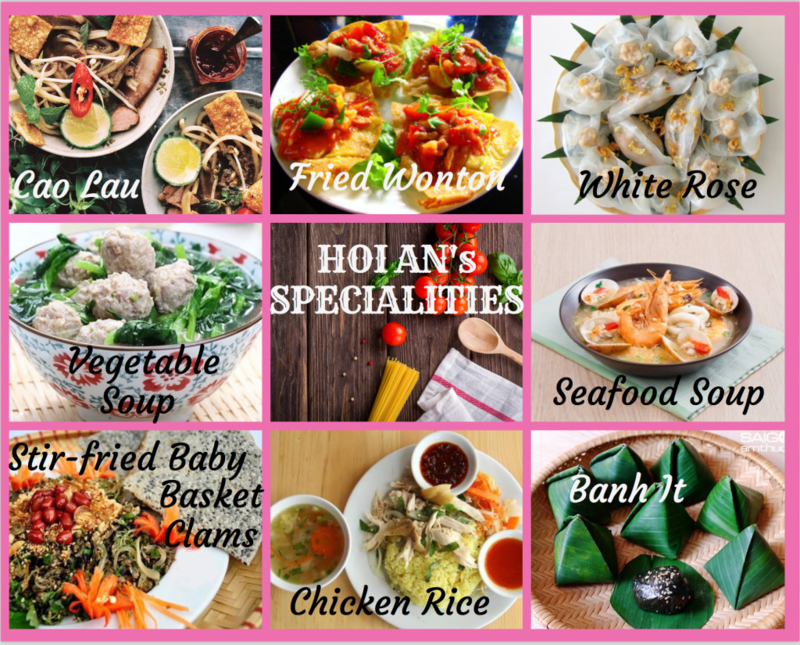 –Hoi An restaurant: serves local dishes including noodles, steam rice with meat and vegetables. -Doumer Restaurant: serves fast food, fruits, and beverages. -Morin Restaurant: serves local dishes, Asian and European dish menu (price is from 180,000 vnd), combo dish costs 160,000 vnd. -Beer The Du Dôme: serves rustic food such as buffalo meat, gadwall, BBQ and grilled beef, fresh German beer, Ha Noi beer. -Kavkaz restaurant: serves grilled dishes of Kavkaz (Russia), grilled sheep, grilled ribs, Russian salad. -Buffet Club restaurant: serves a buffet of dishes in three regions in Vietnam (the north, the center, and the south), the menu includes 68 dishes, 180,000 vnd each pax. -Buffet Vista restaurant (Russia): serves special dishes of Kavkaz (Russia), 250,000 vnd each pax. -La Lavande restaurant: serves buffet, 225,000 vnd each pax. 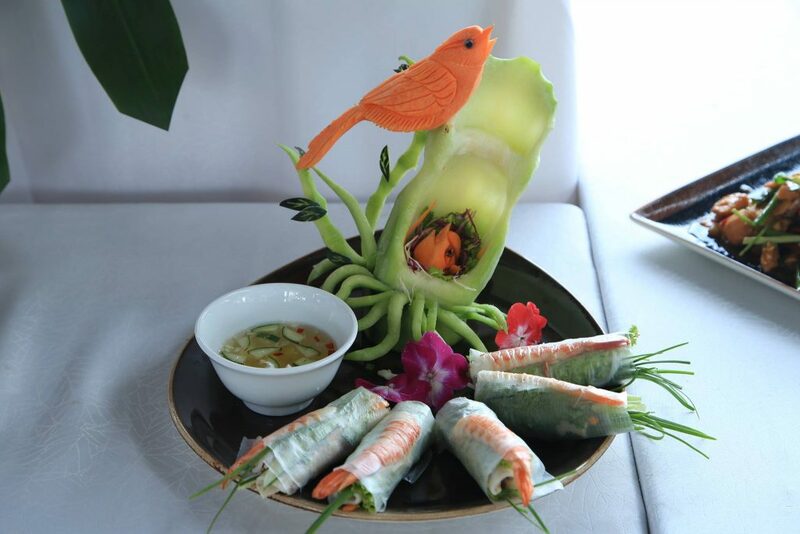 -Le Jardin restaurant: serves buffet, 250,000 vnd each pax. -La Pensee restaurant: serves convenient combos, same price at 160,000 vnd. -Le Terroir restaurant: heaven of French pastries. -La Crique & amp Café Postal restaurant: serves European buffet for lunch and dinner, 250,000 vnd each pax. 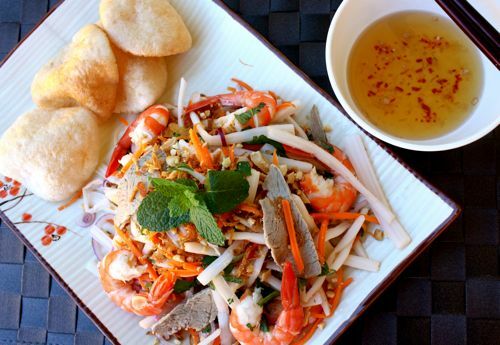 -L’Etable restaurant: serves traditional Vietnamese food and Asian dishes. You should bring food and drinks with you to save more money because food and beverages here are very expensive as well as few of choices are offered. Take plenty of cash as there are no ATMs or credit card facilities. It is very cooling over in Ba Na Hills as it is high ups in the mountains. Bring thin jacket. Cable car transport between station 1 and station 2 is free. So you should notice departure time of this transit (7:30 am) and when the last cable car stops working (21:00 pm). In the daytime, it may be sunny in Ba Na Hills. However, it may turn very cold at night. So if you want to stay here overnight, bring with you a thick jacket. Hotels’ check-in time is after 2 pm and check-out time is 11 am. So you should mind the time so that you don’t have to wait too long for a hotel room. High heels are not positively recommended for a trip to Ba Na Hills because this tourist destination is very large and will take you a long time to discover all corners of it. Sneakers and flat, soft sandals are best choices of the day. You can book a day trip tour to Ba Na Hills Da Nang Cooking Class. 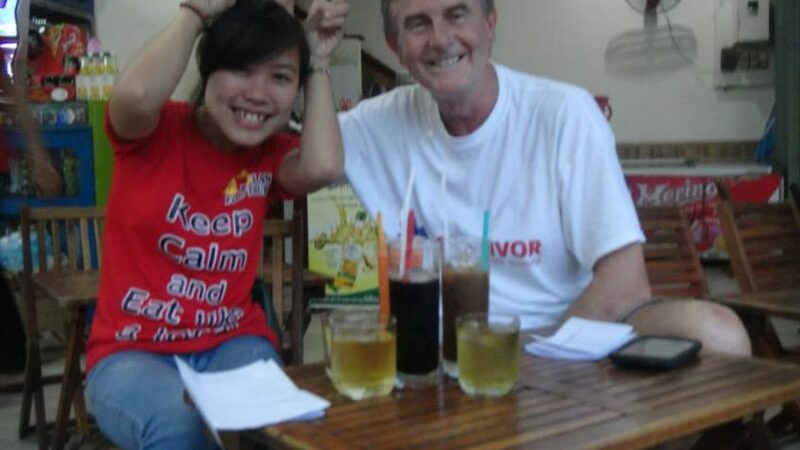 The staffs there will arrange for picking you at Danang city center or at your hotels as your request. Price: 45 USD/ 1 pax. Pick up time: 9.00 AM. End time: 2.00 PM. Pick up time: 2.00 PM. End time: 9.00 PM. 21h00: End of services at your hotel! 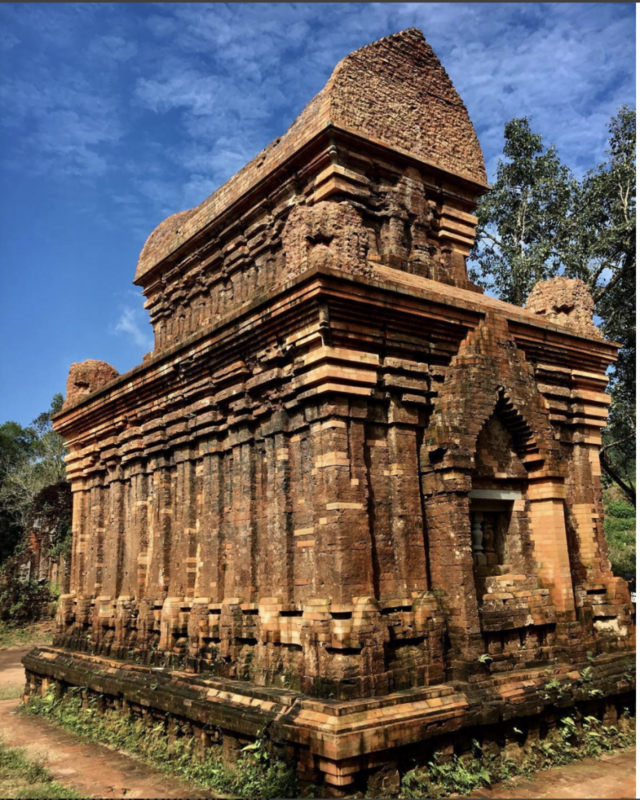 My Son, considered being in the same league as some of Southeast Asia’s greatest archaeological sites, including Angkor in Cambodia, Bagan in Myanmar, Ayutthaya in Thailand and Borobudur in Indonesia. This tour is a must-see for those who are interested in architecture and ancient civilizations. My Son sanctuary was an imperial city during the Champa dynasty, between the 4th and the 12th centuries. This zone is now a UNESCO World Heritage site. Pick up time: 7.00 AM (Da Nang). End time: 3.00 PM.